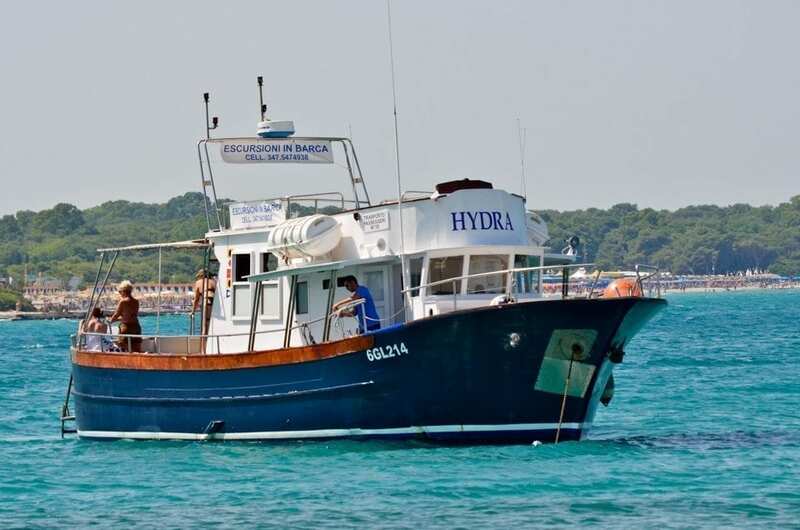 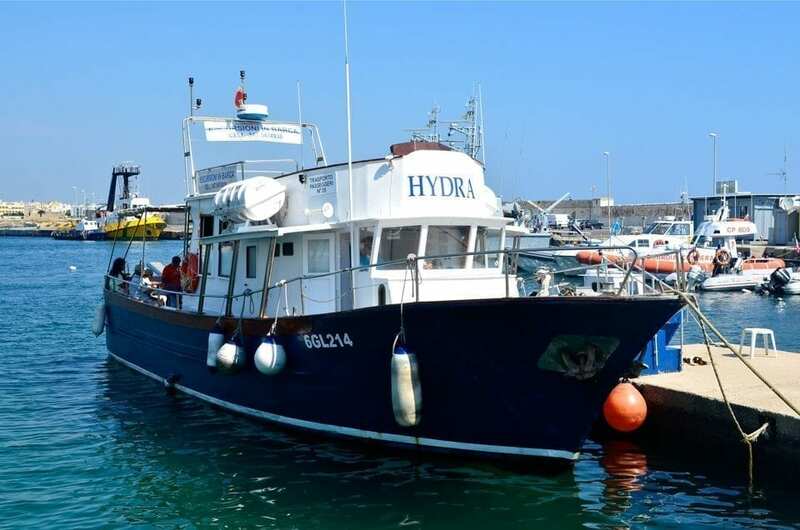 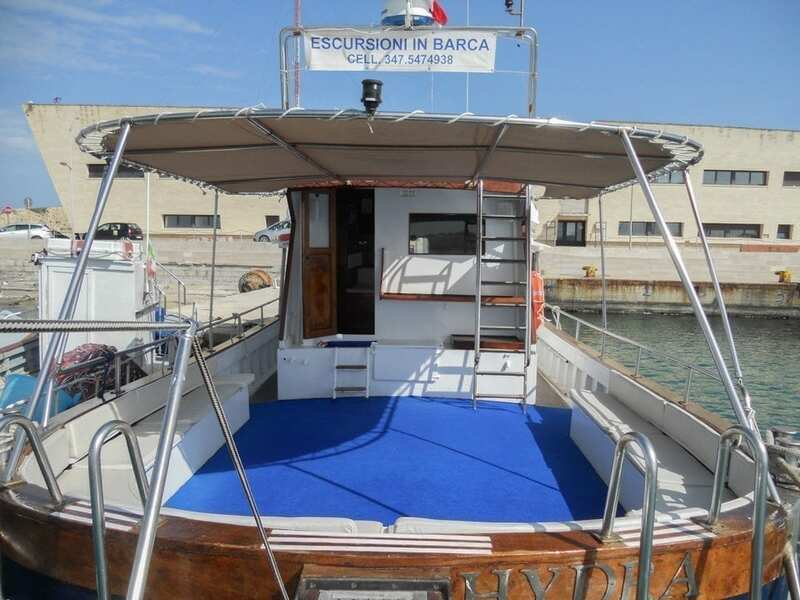 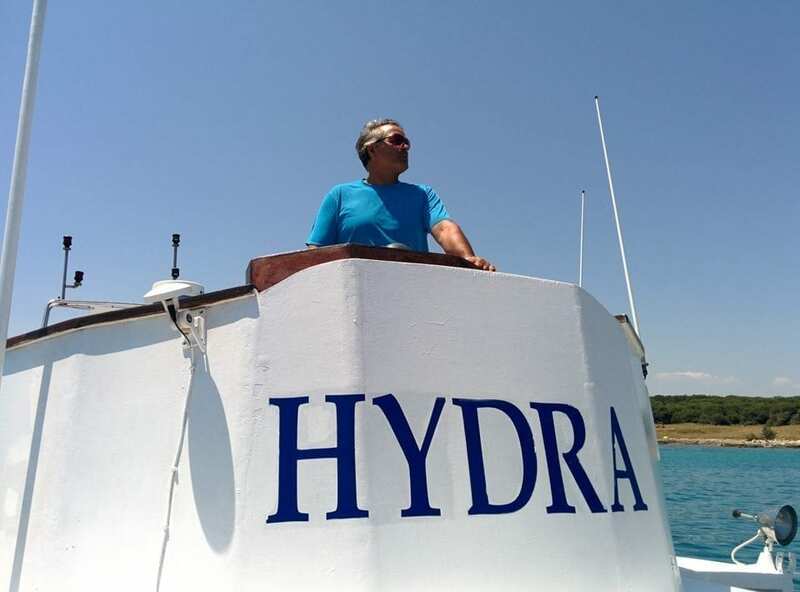 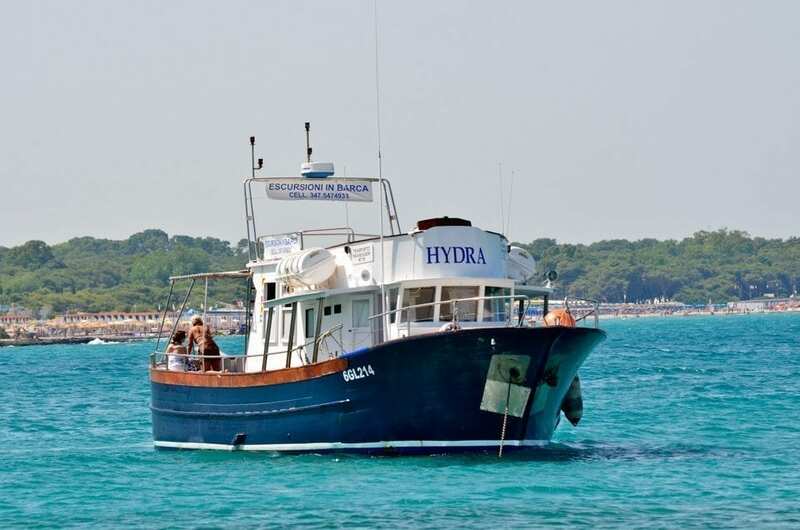 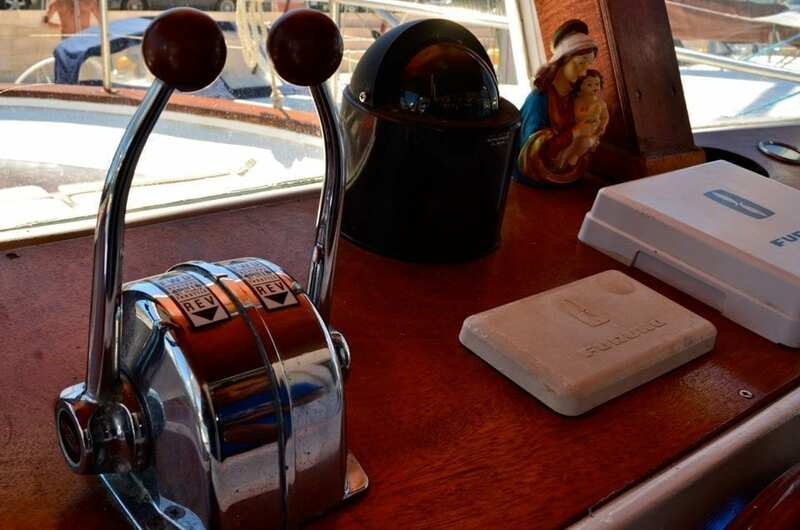 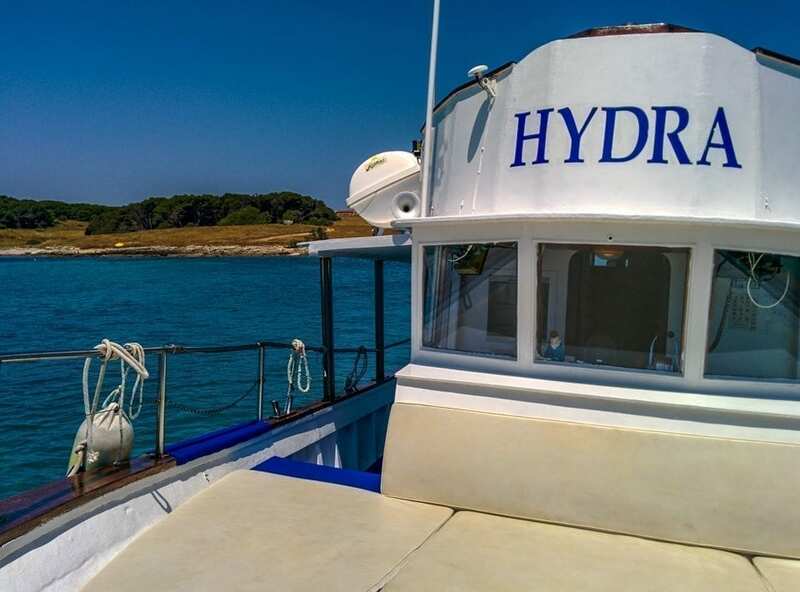 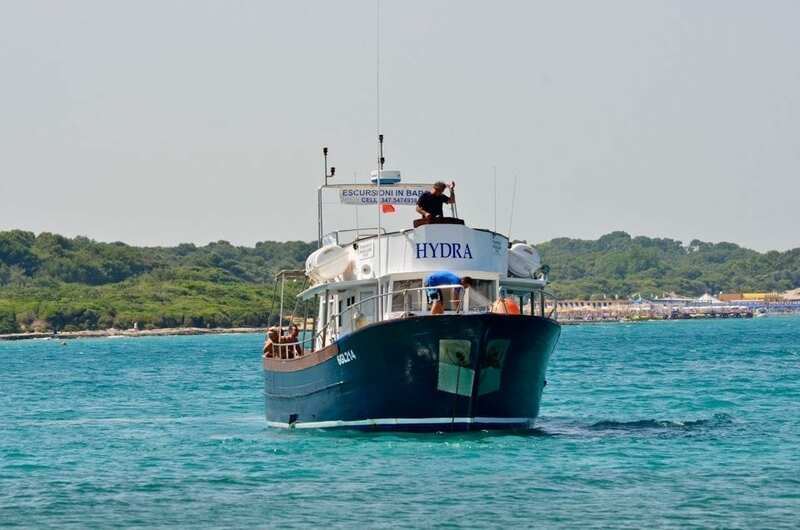 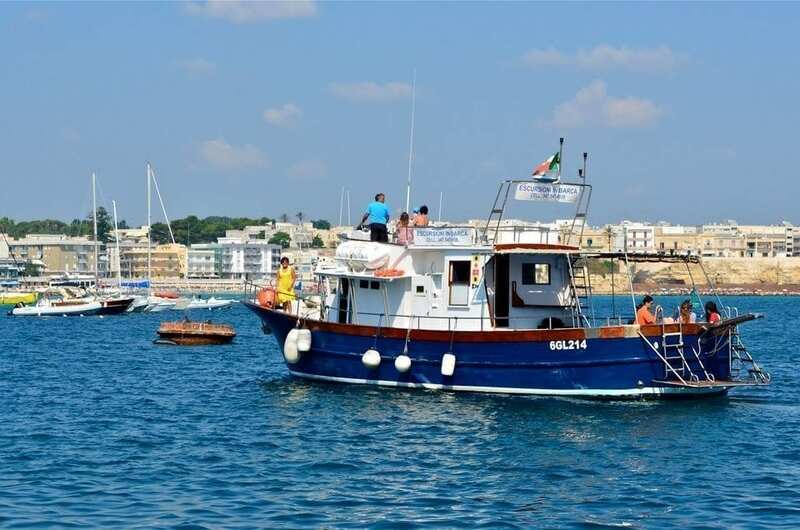 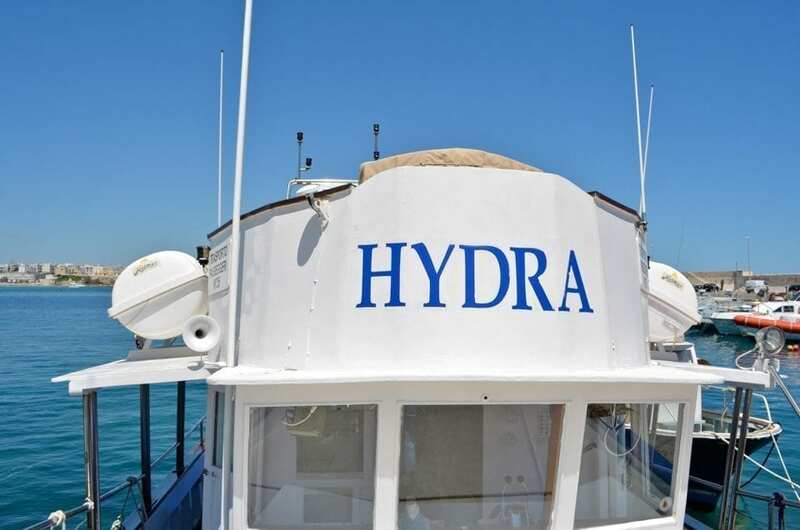 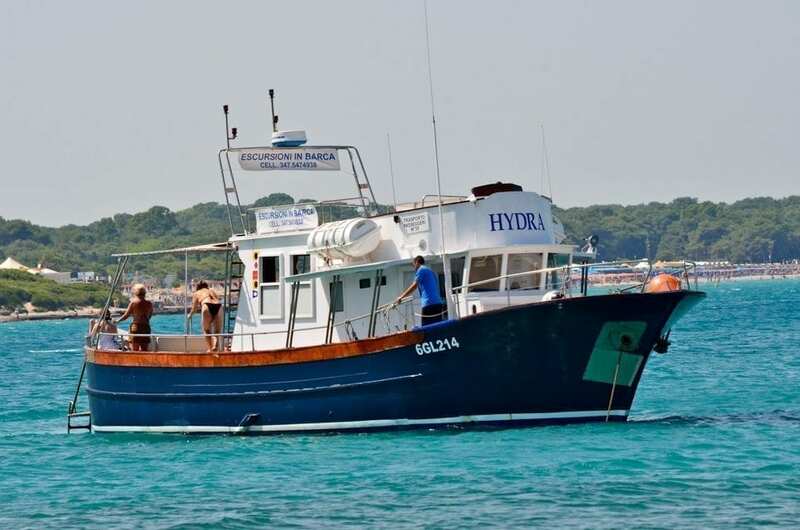 Hydra is a wooden boat built in the “Antonio Milano Aprea” shipyard (Sorrento, Italy) in 1980. 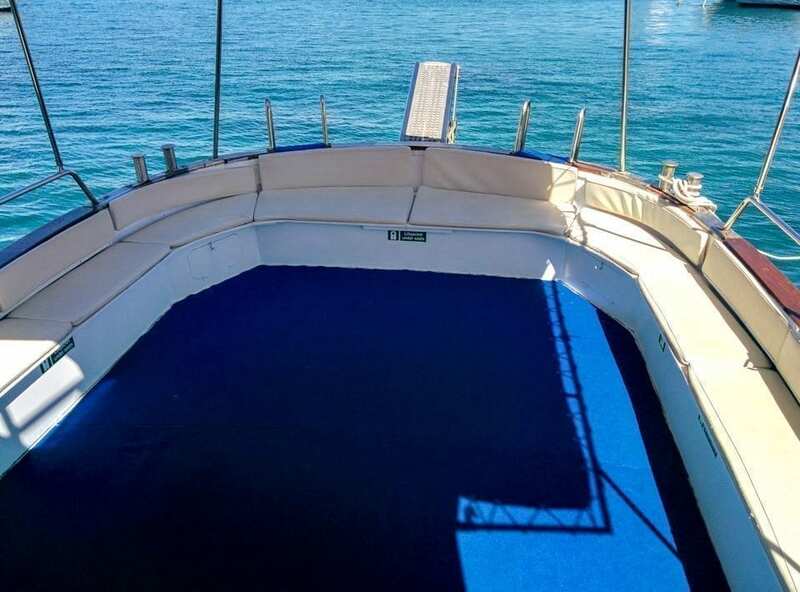 Its overall length is 17.00 meters with a width of 4.80 meters. 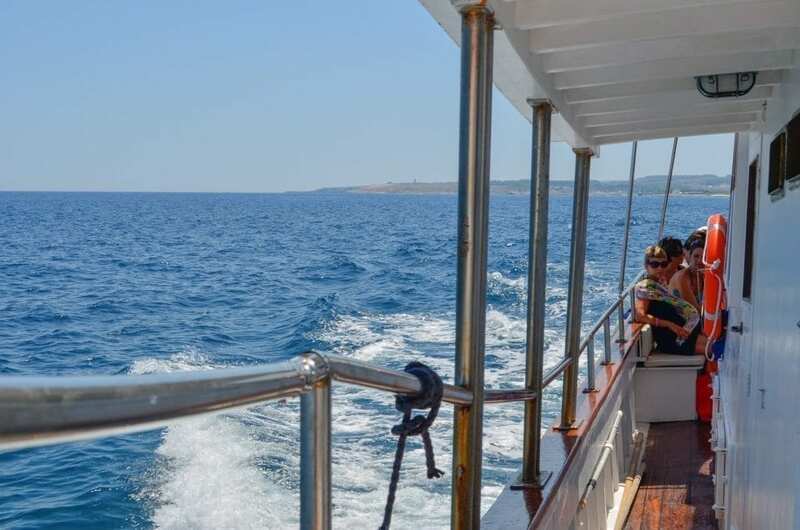 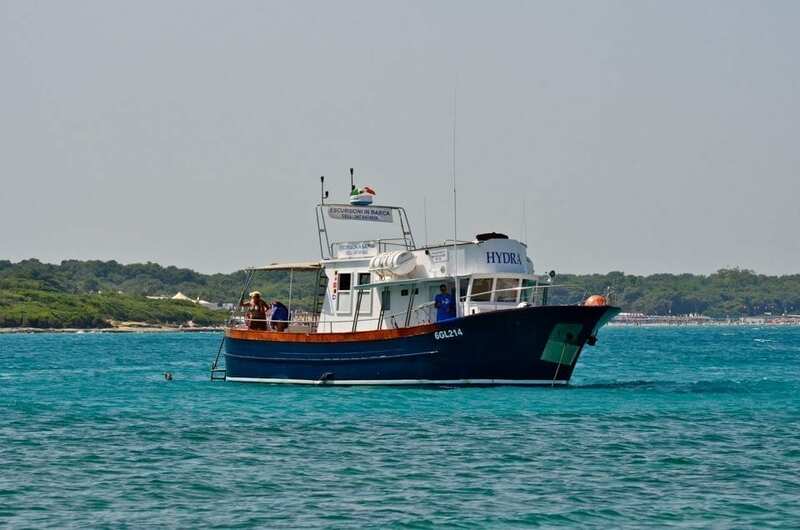 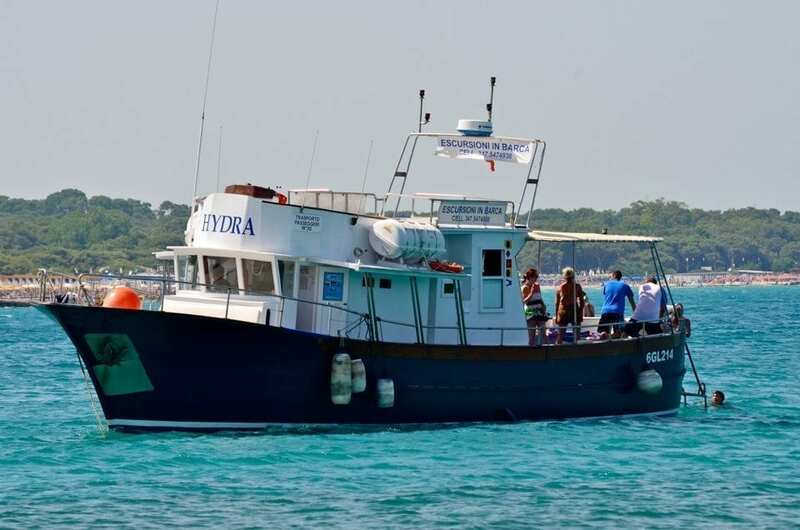 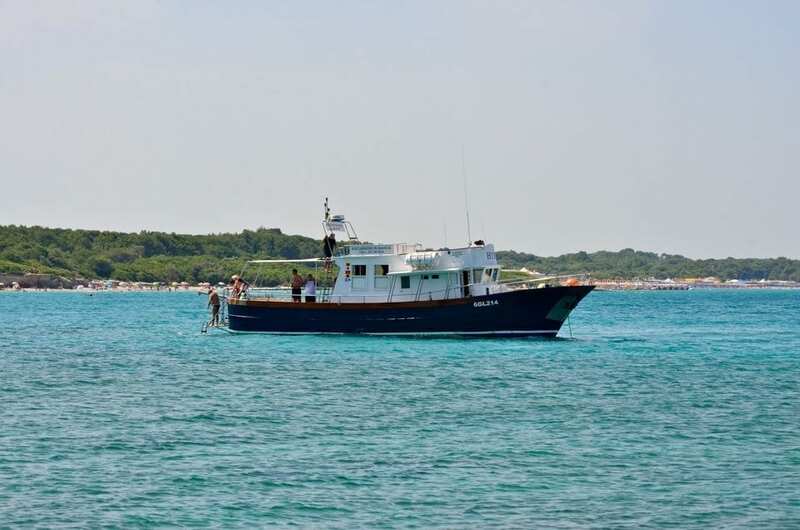 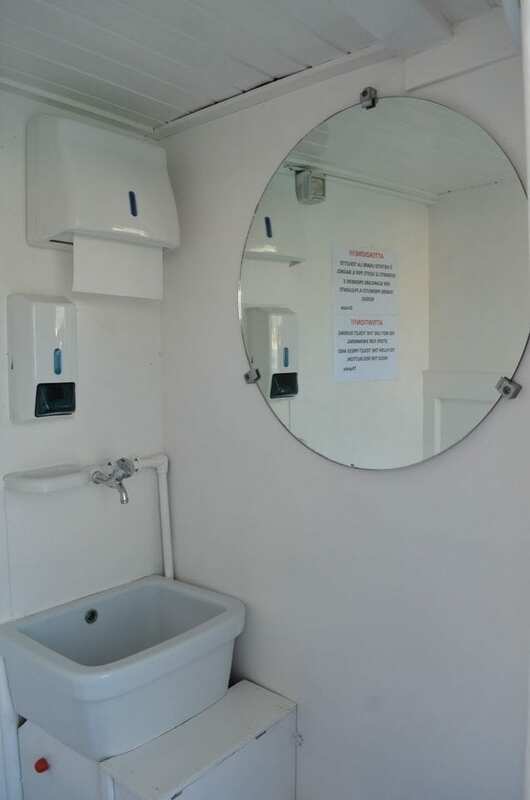 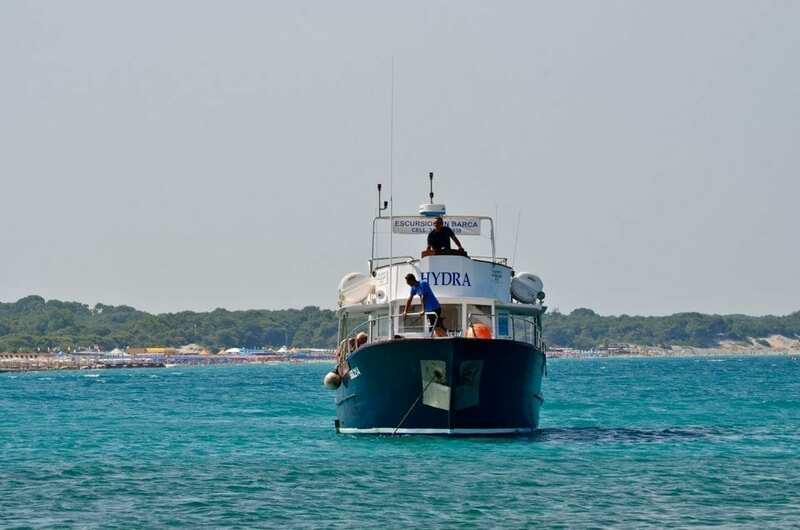 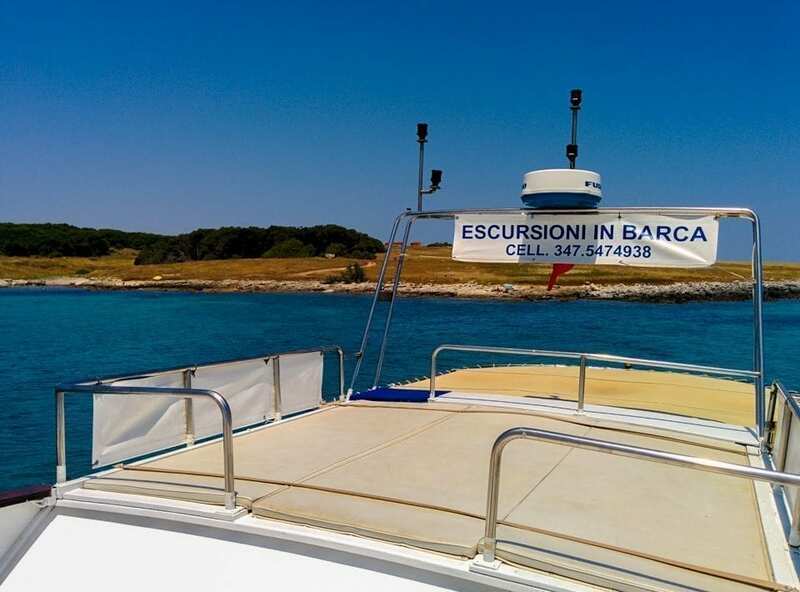 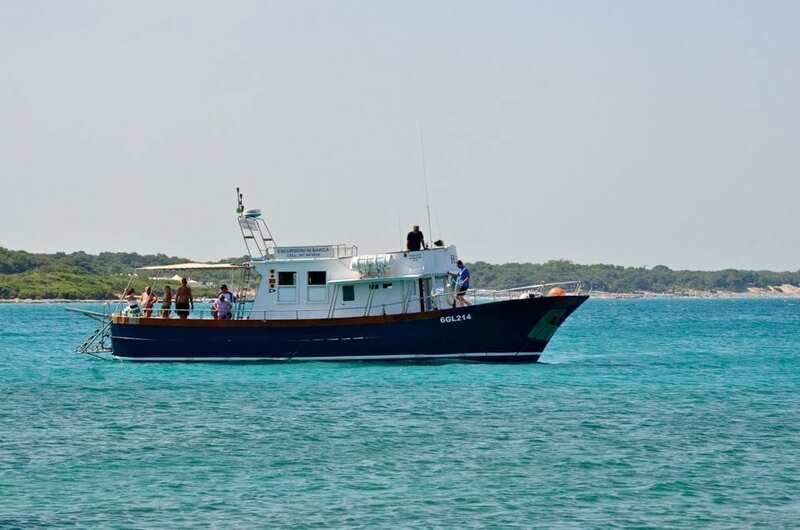 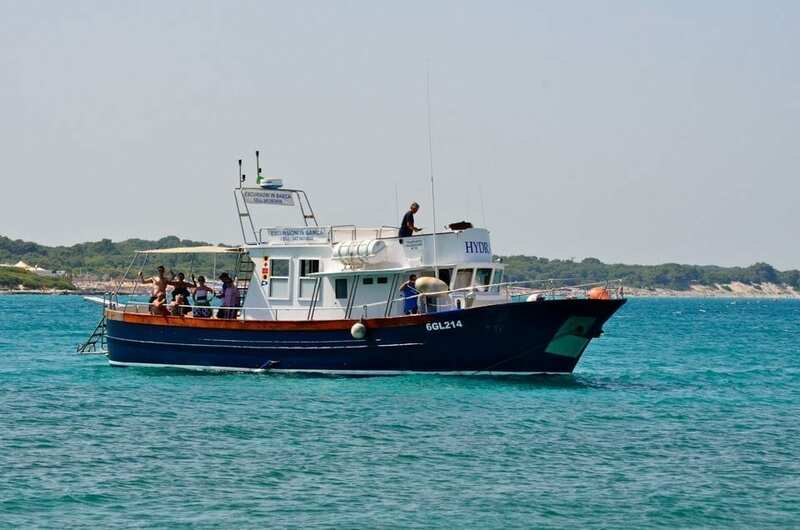 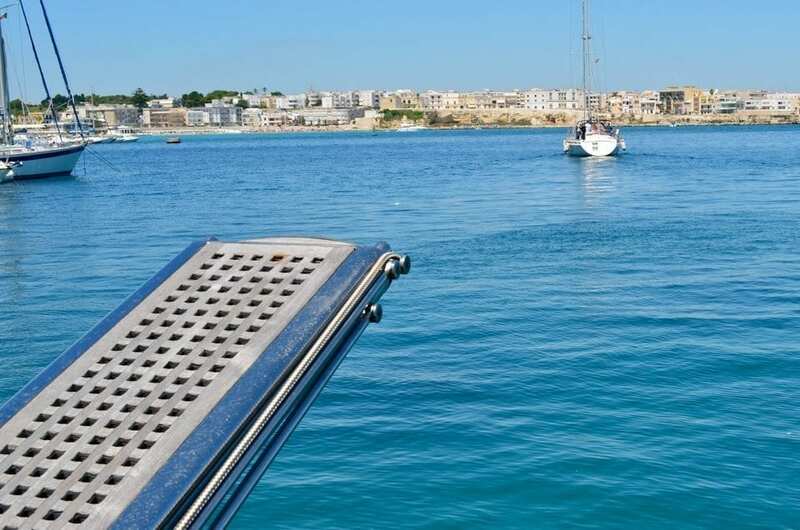 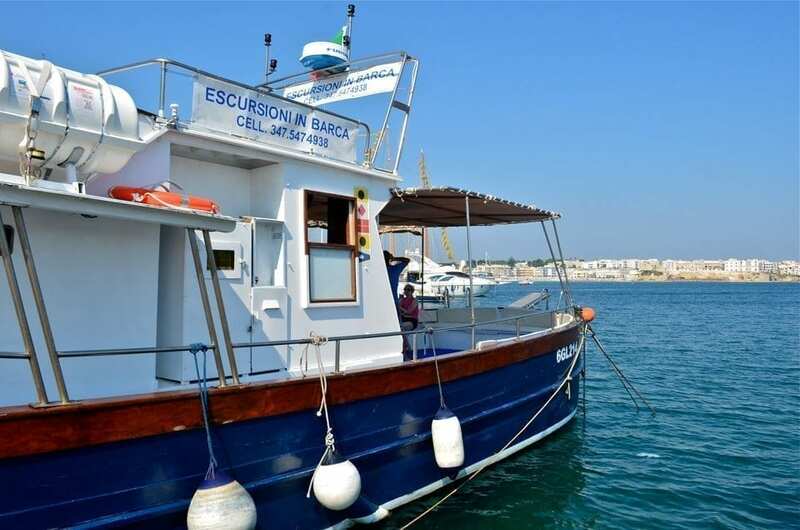 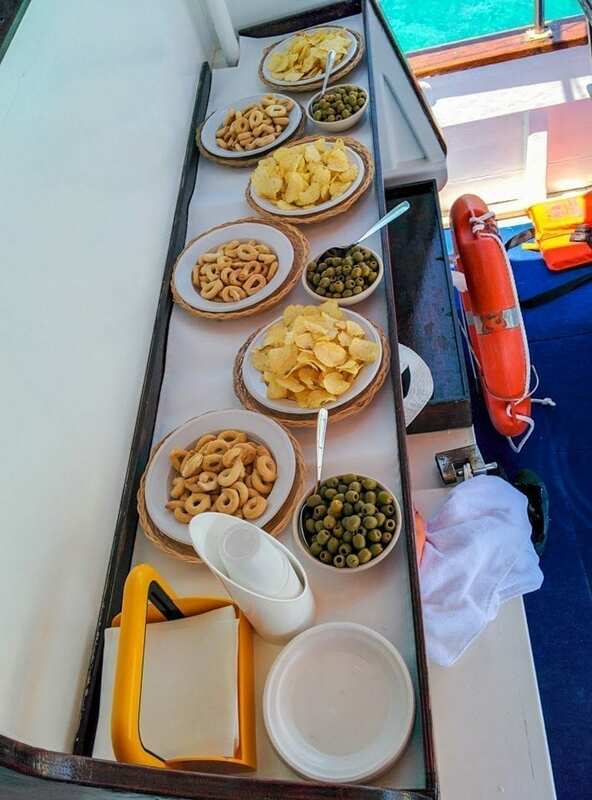 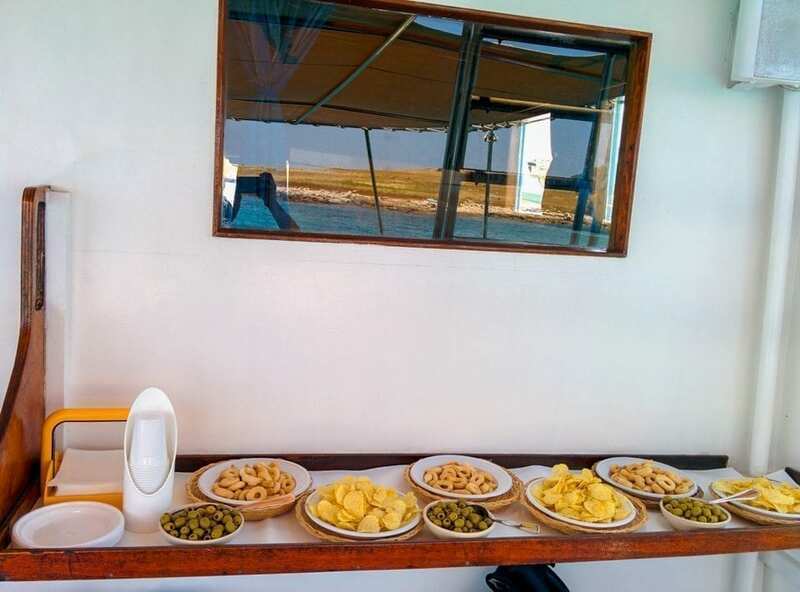 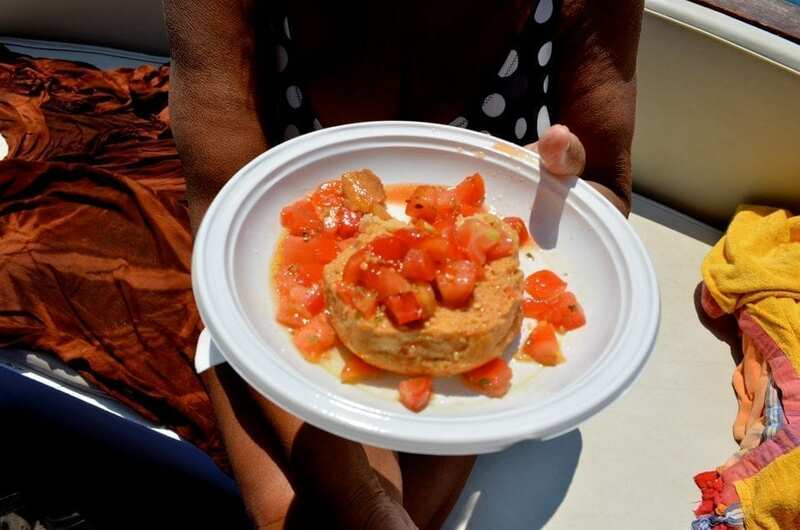 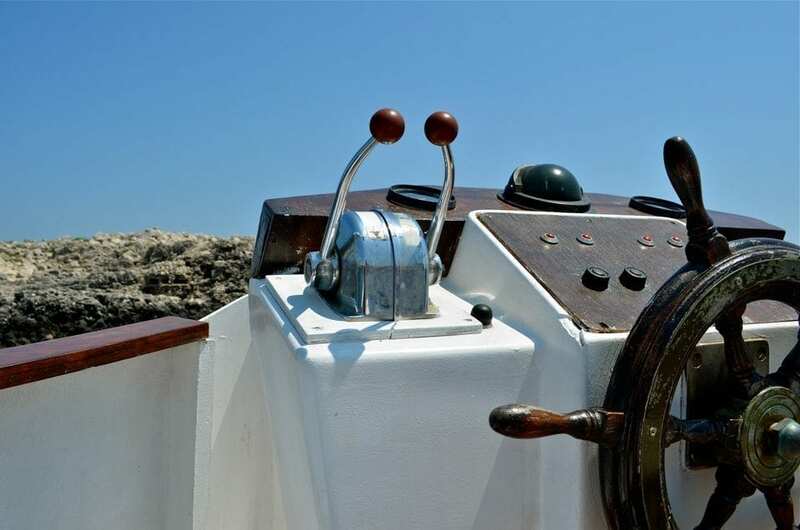 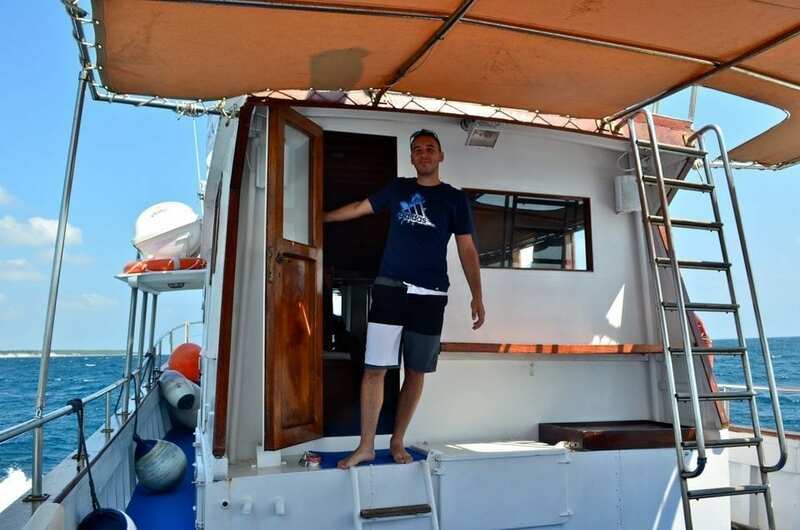 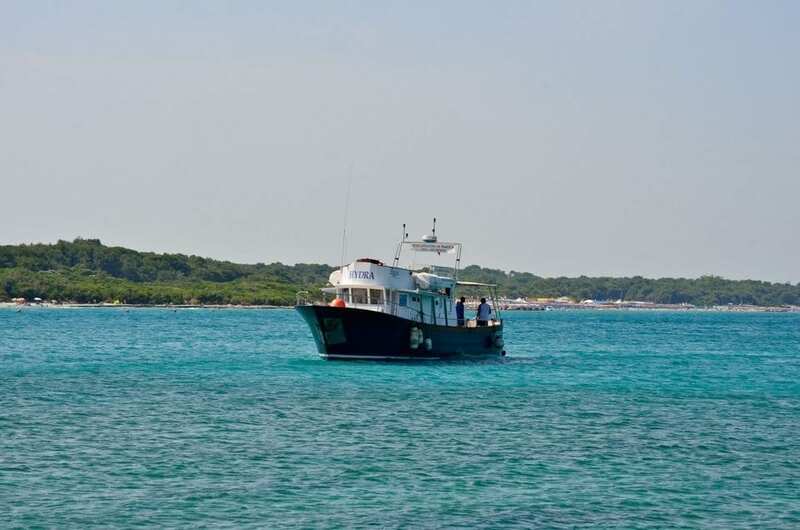 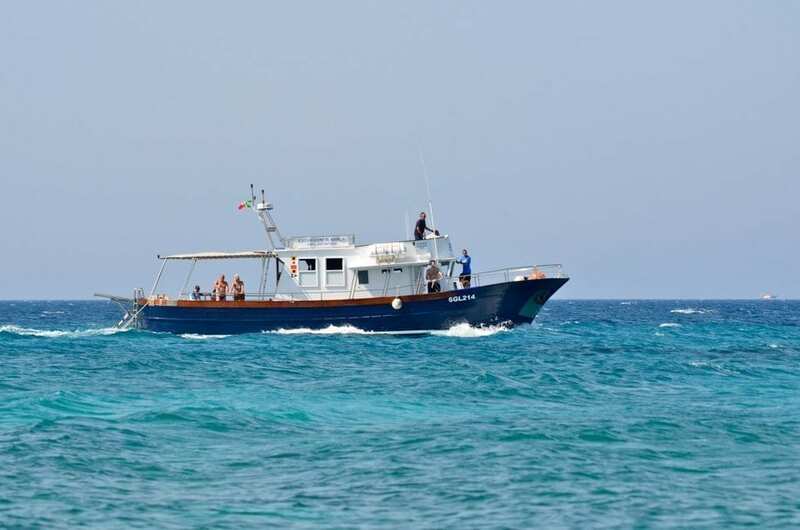 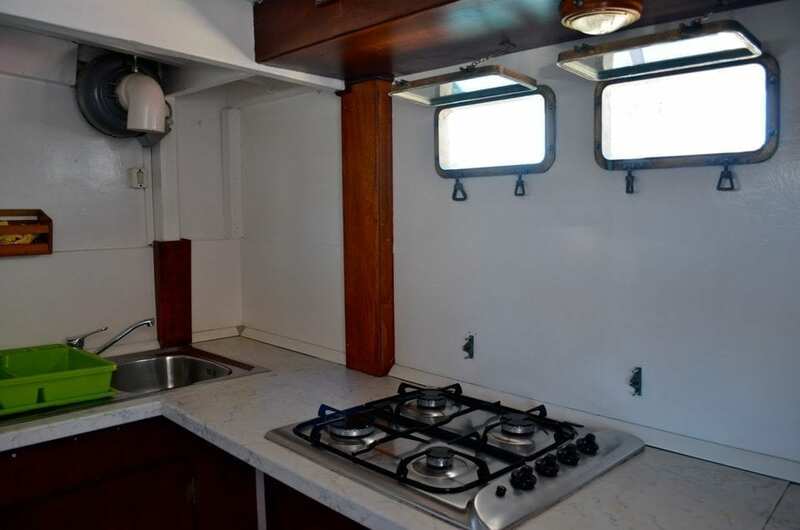 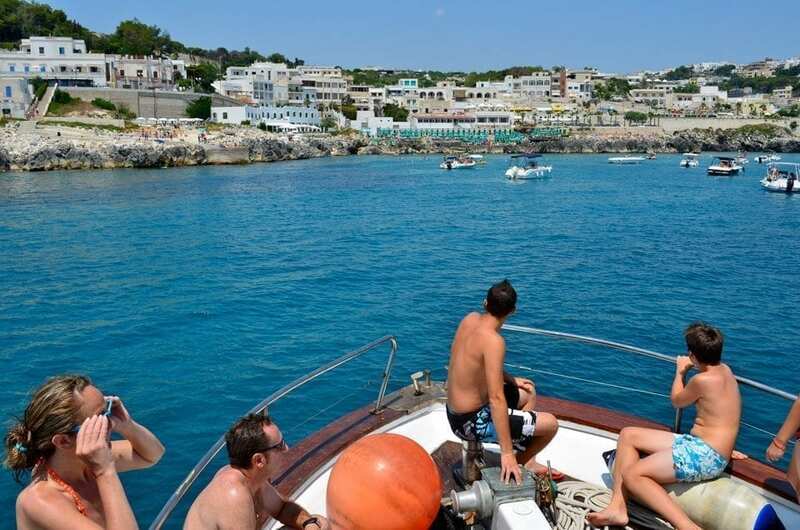 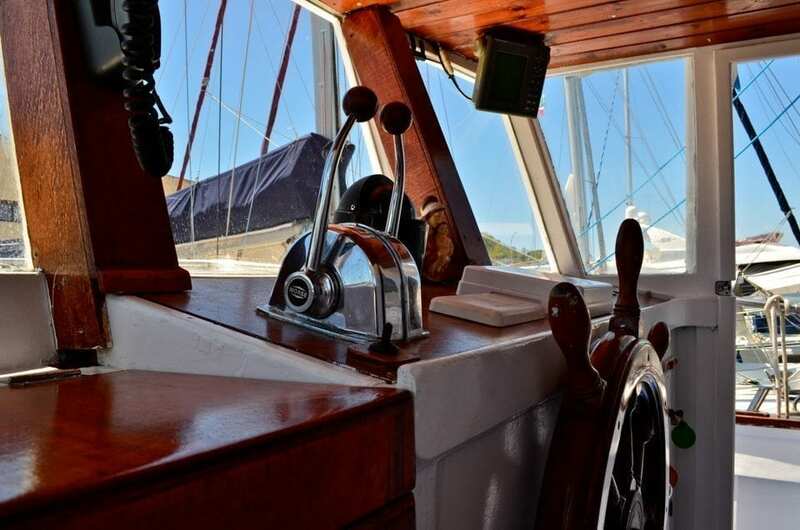 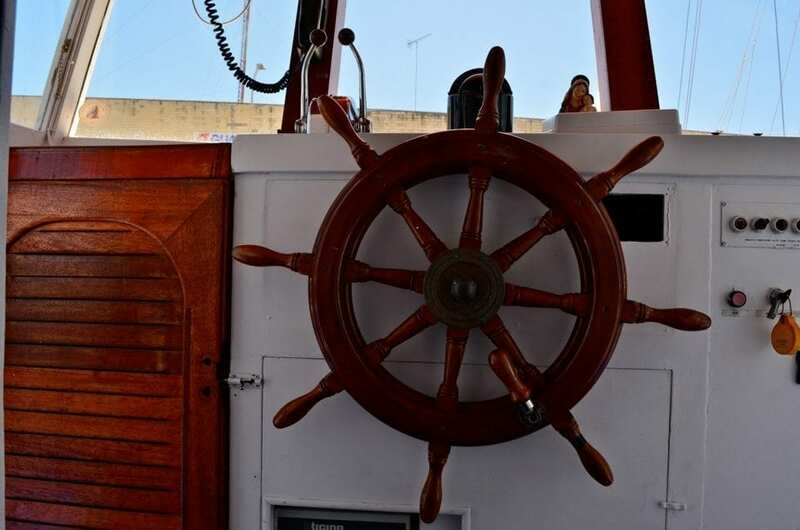 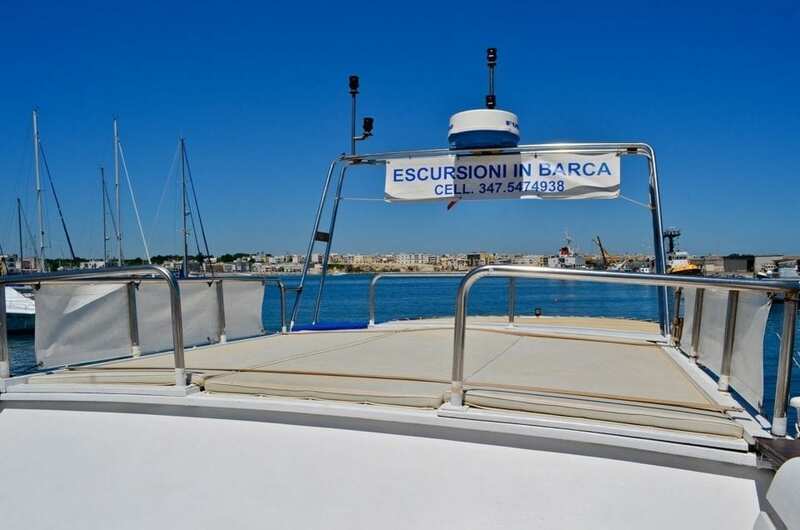 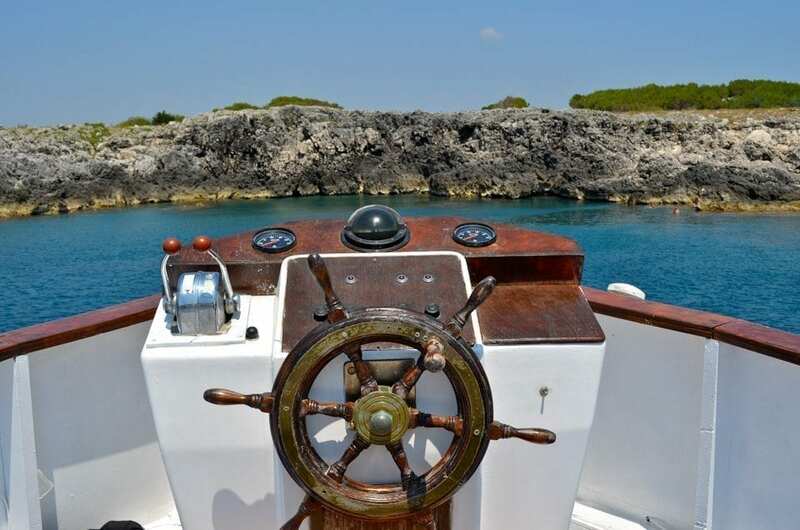 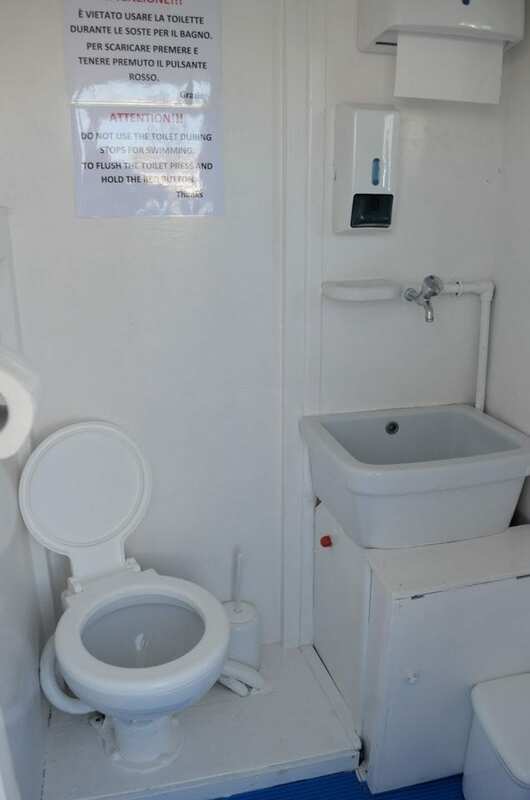 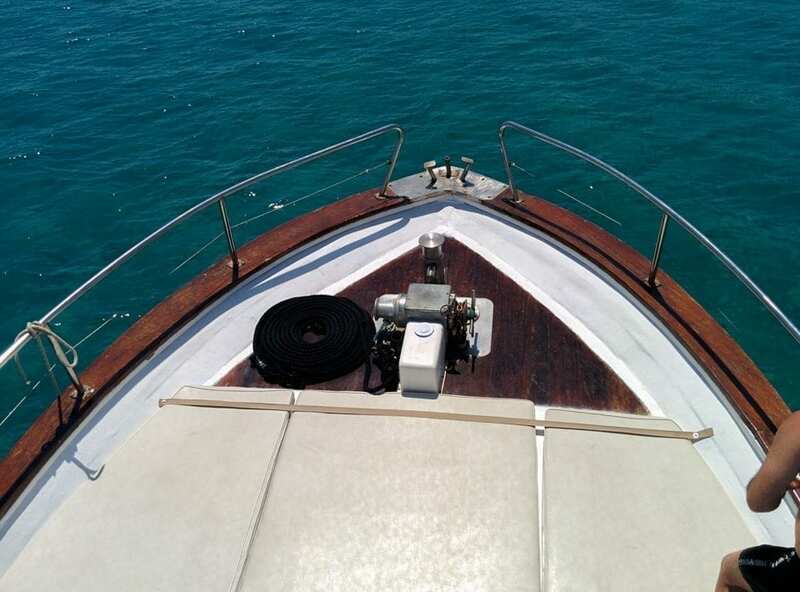 The boat is equipped with numerous safety features including: double centralized controls (dashboard, upper deck), VHF, SSB, echo sounder, radar, toilets, freshwater showers, kitchen, living room interior, raft seats covered by an awning, 2 large sunbathing areas (located on the bow and upper deck), leather-covered cushions and seats, wide staircases leading to the platform for entry/exit from the sea, diving boards and plenty of open spaces for movement. 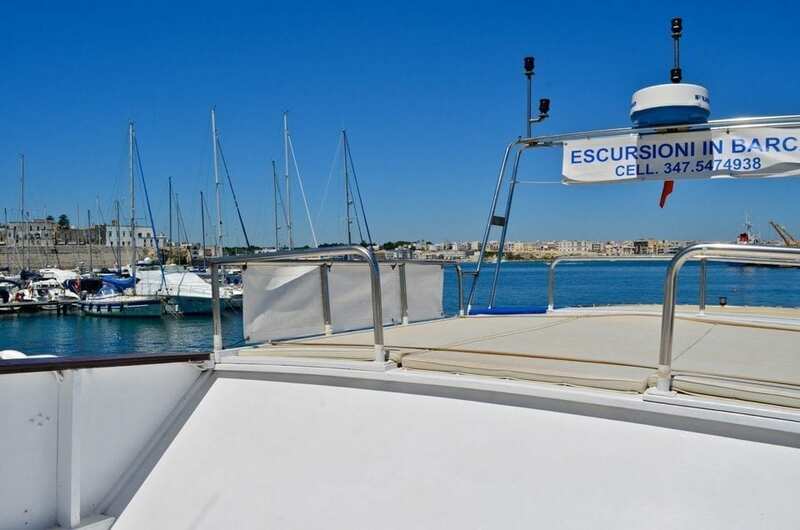 Embarking / disembarking of passengers is permitted from the rear telescopic platform or from two designated zones located on the bow. 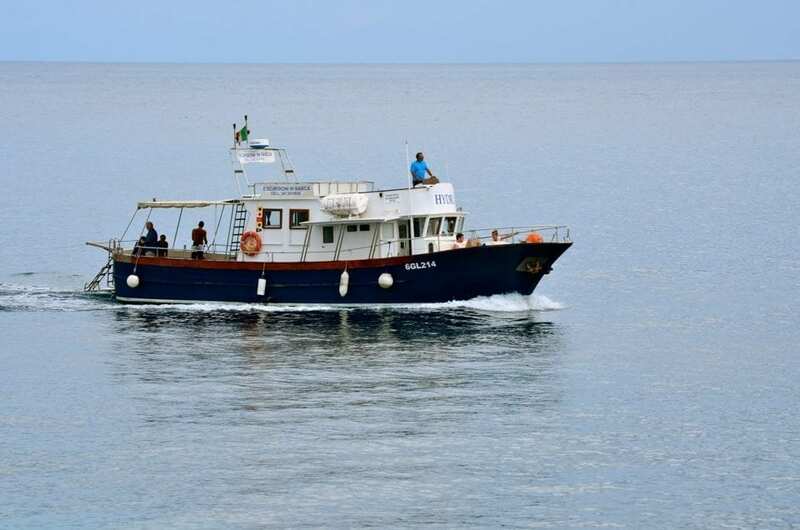 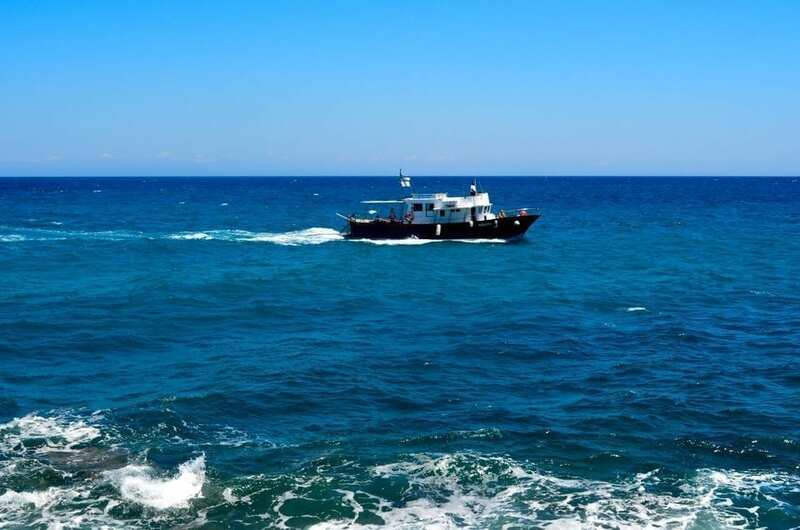 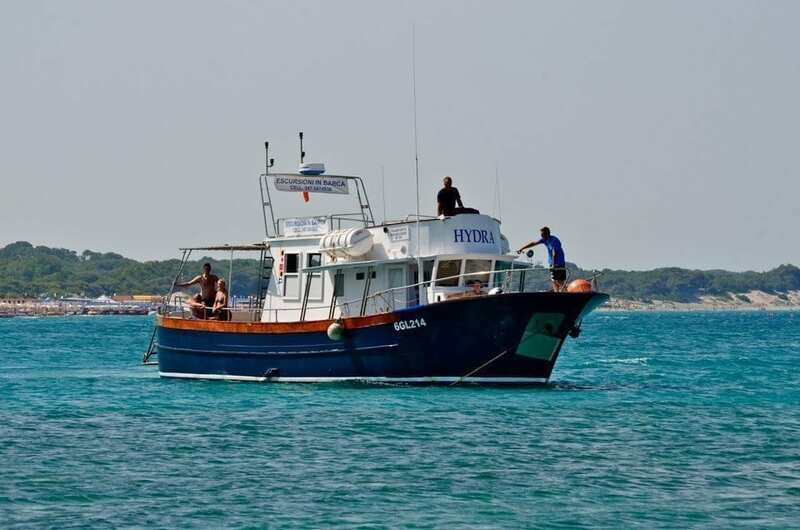 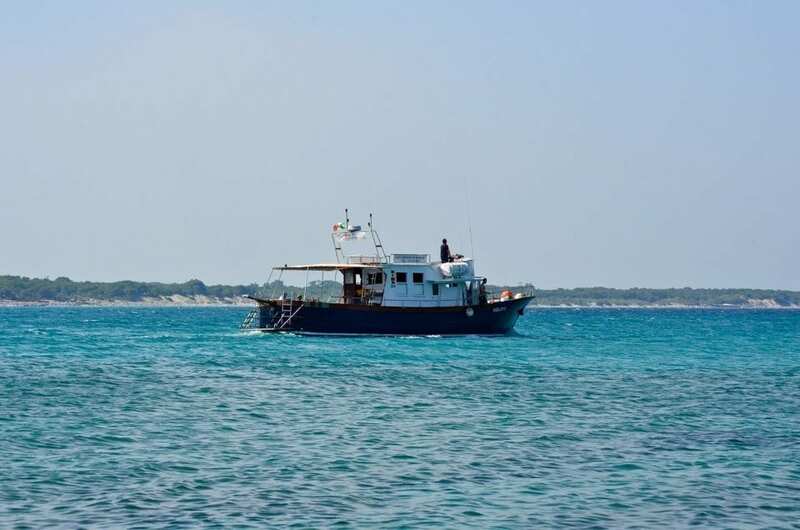 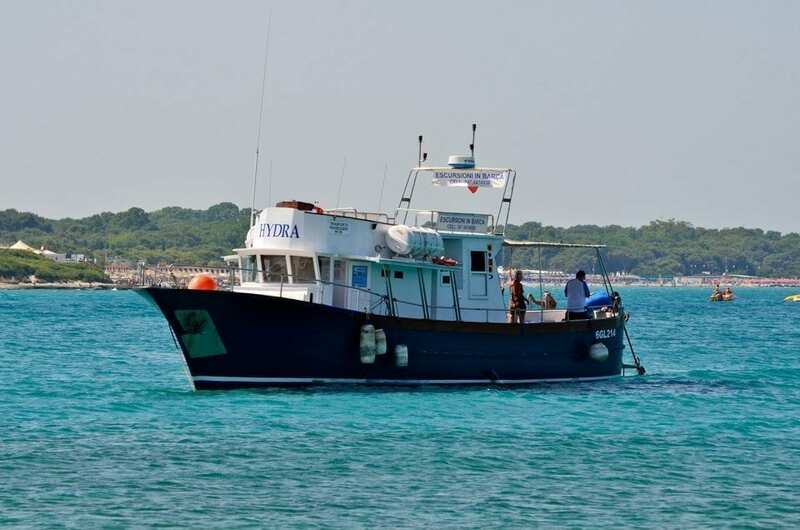 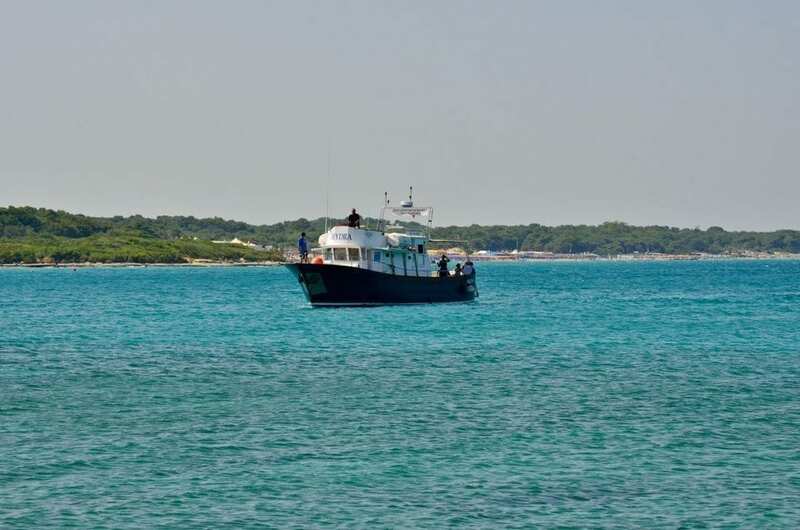 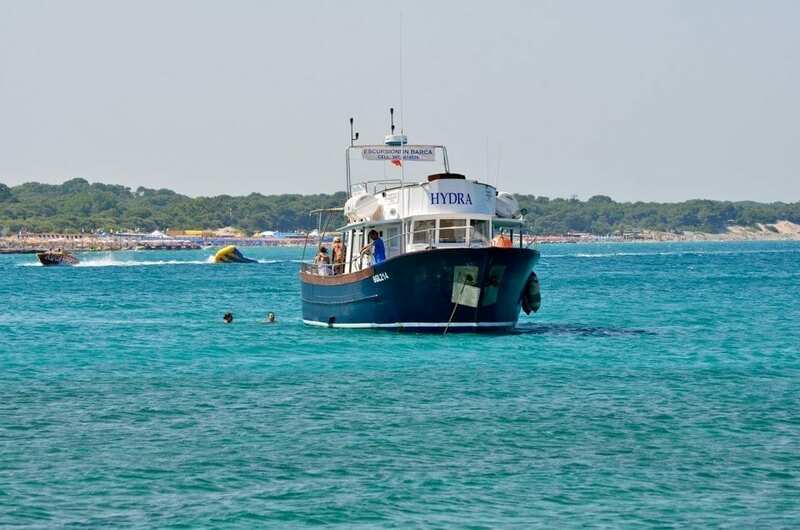 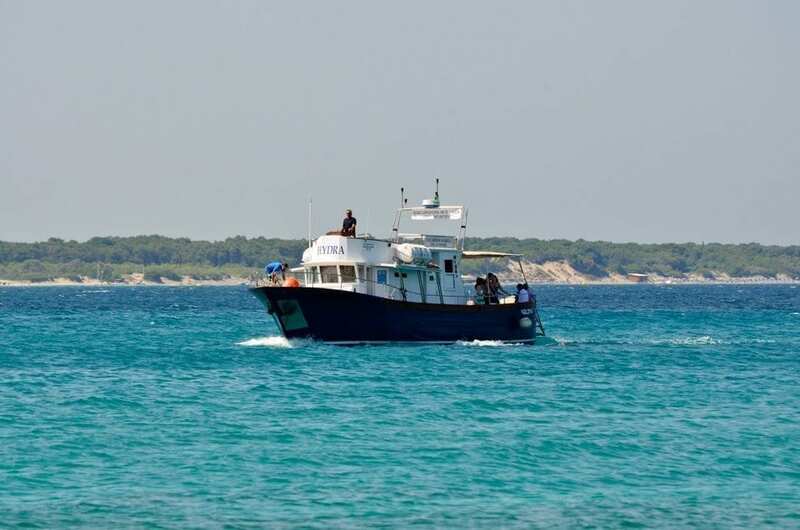 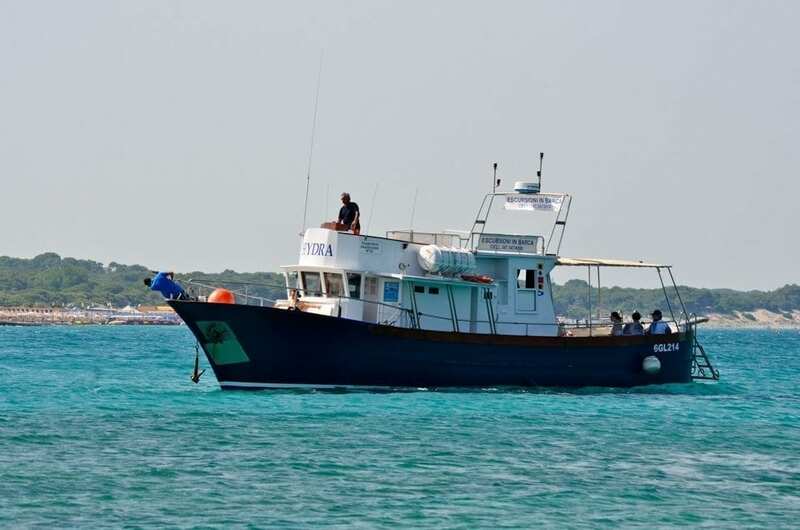 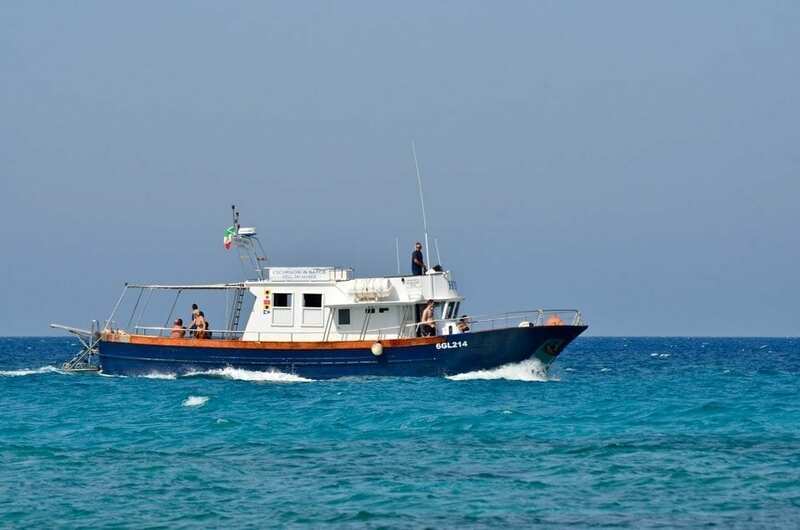 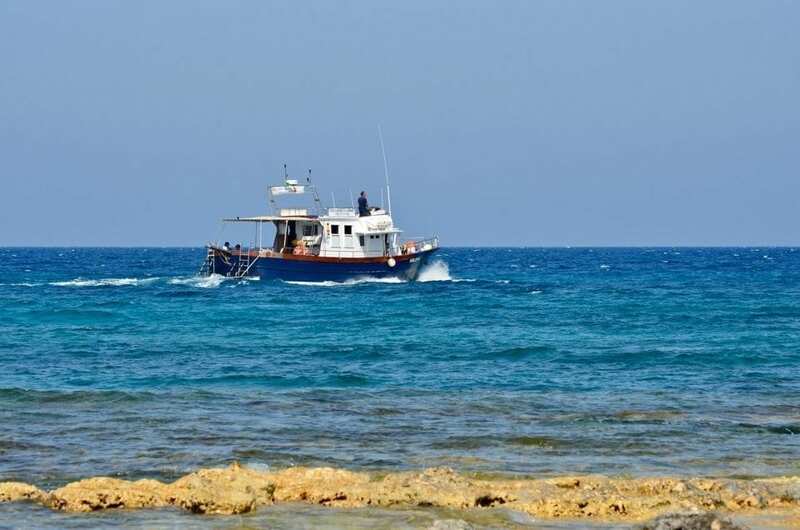 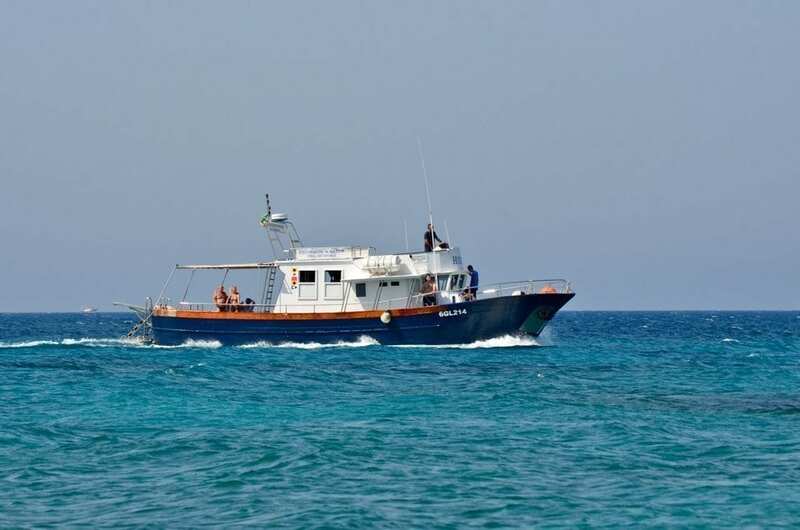 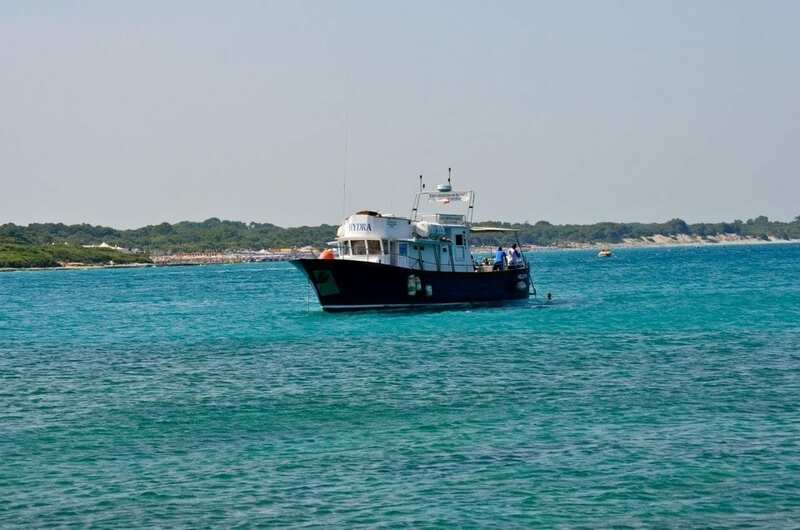 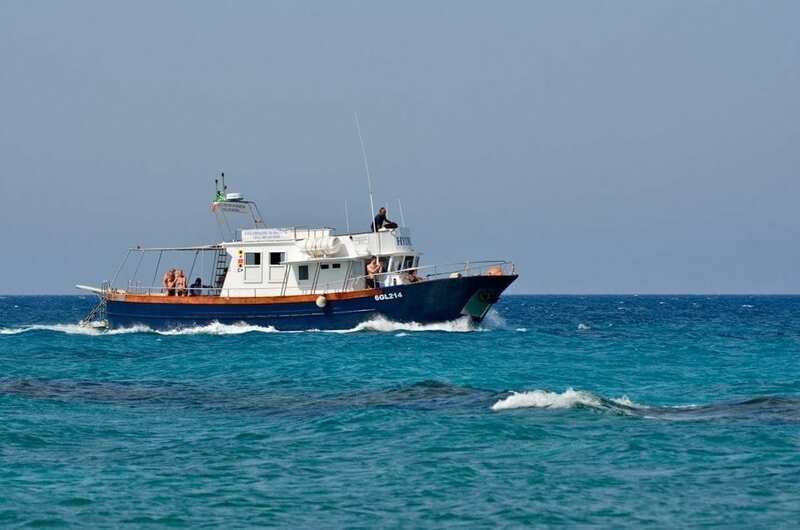 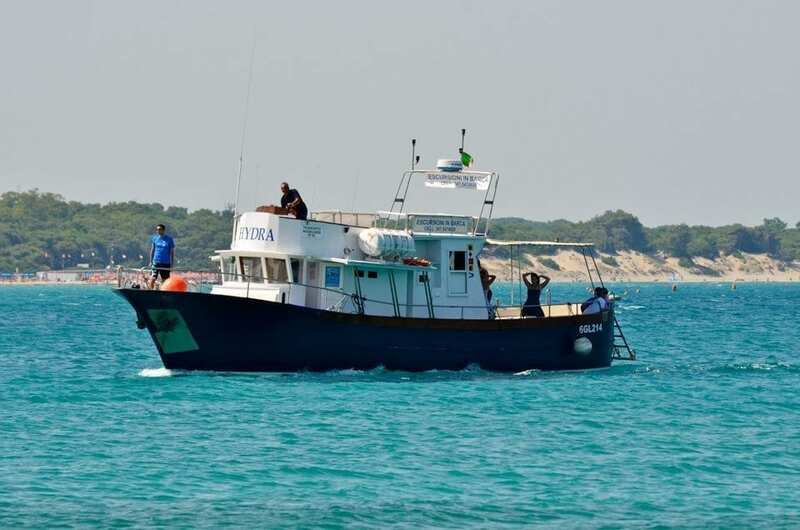 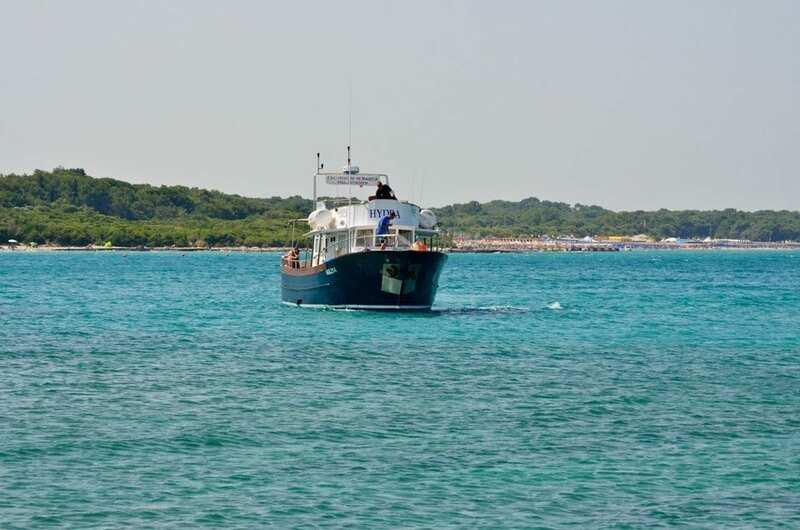 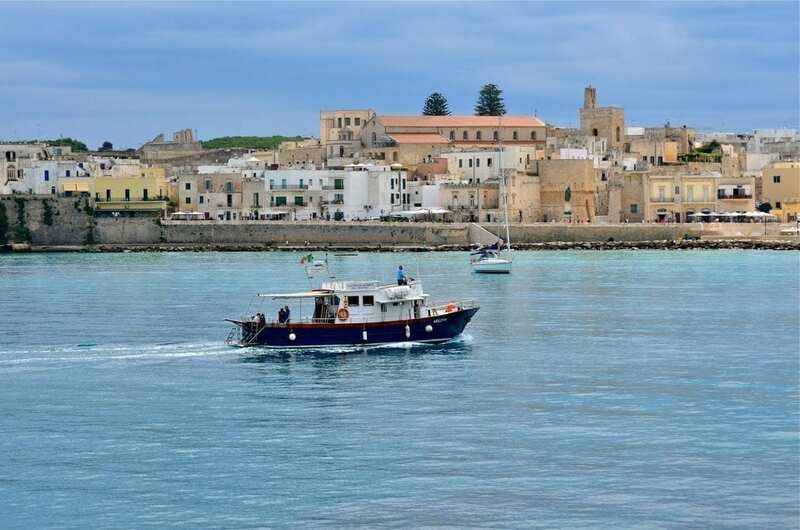 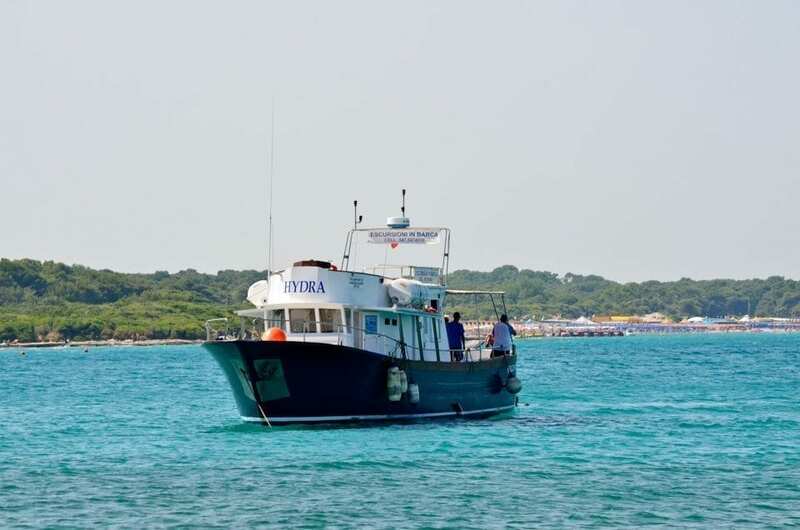 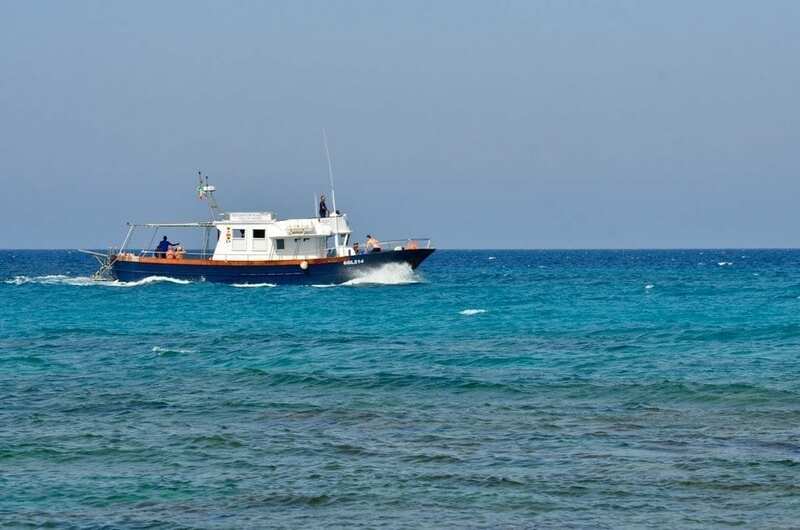 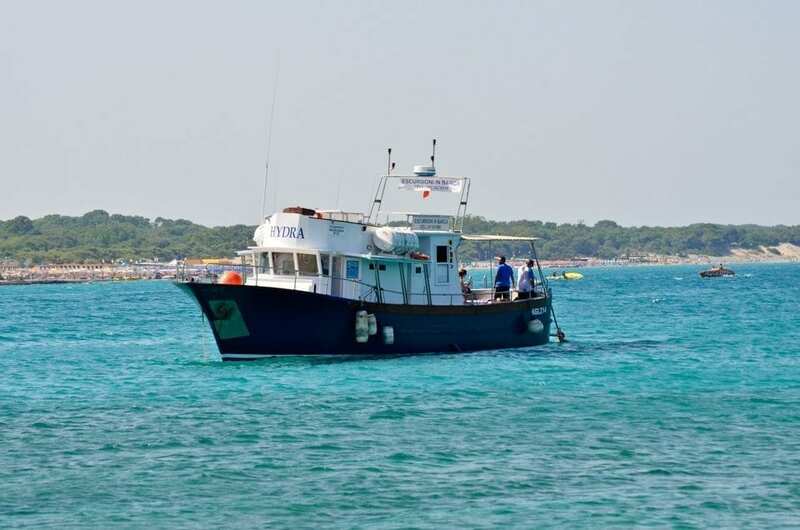 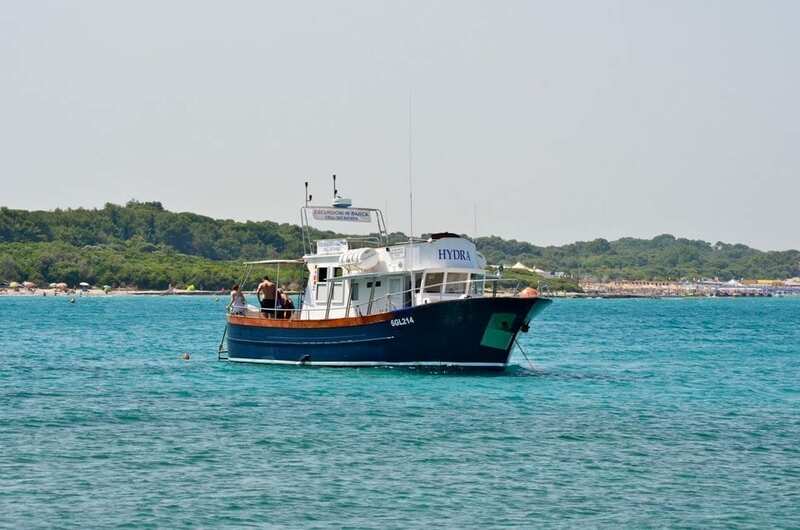 Used for passenger transportation services, the boat can carry a maximum of 42 passengers plus the crew. 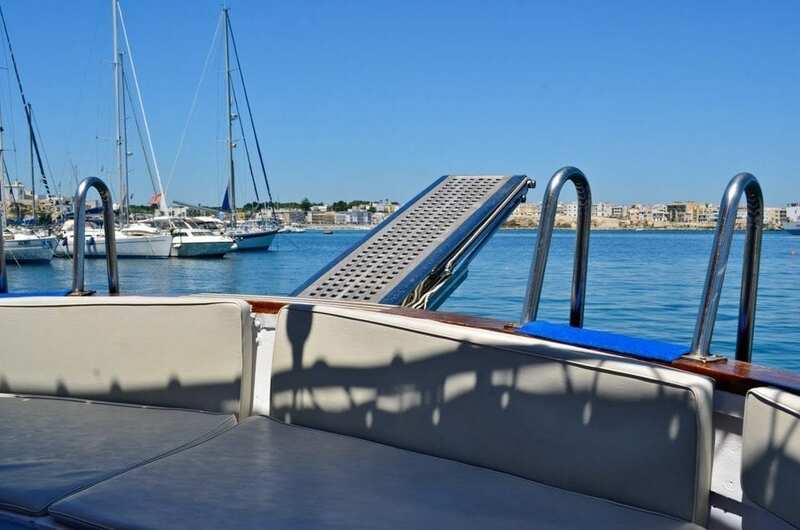 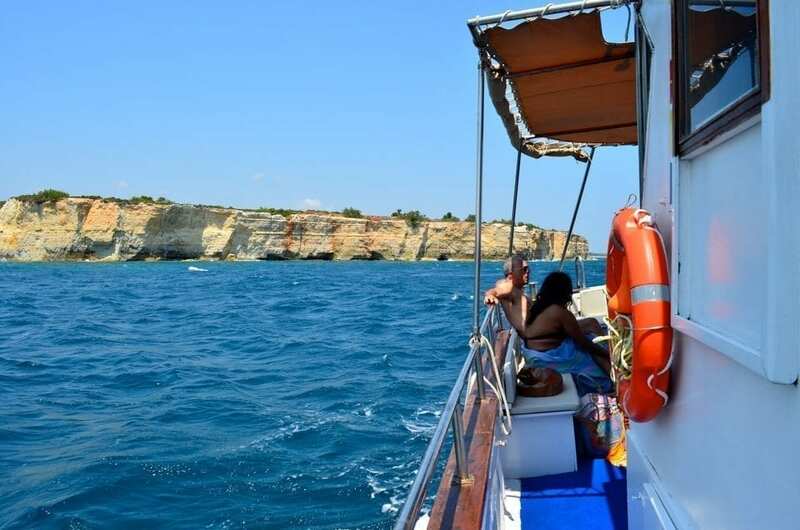 For greater comfort onboard, we recommend a maximum of 35 passengers plus the crew.